From the PEN/Faulkner Award–winning author James Salter and his wife, Kay—amateur chefs and terrific hosts—here is a charming, beautifully illustrated food lover’s companion that, with an entry for each day of the year, takes us from a Twelfth Night cake in January to a champagne dinner on New Year’s Eve. 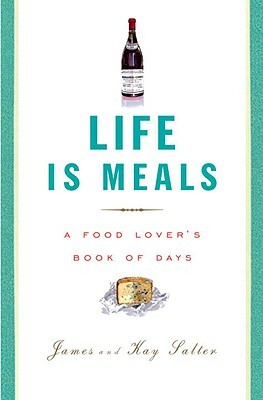 Life Is Meals is rich with culinary wisdom, history, recipes, literary pleasures, and the authors’ own stories of their triumphs—and catastrophes—in the kitchen. Where in Paris Samuel Beckett and Harold Pinter had French onion soup at 4:00 a.m.